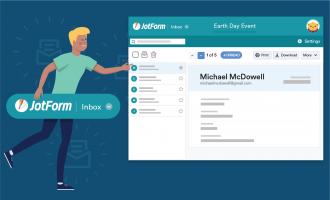 There are a million different ways to manage your form data. 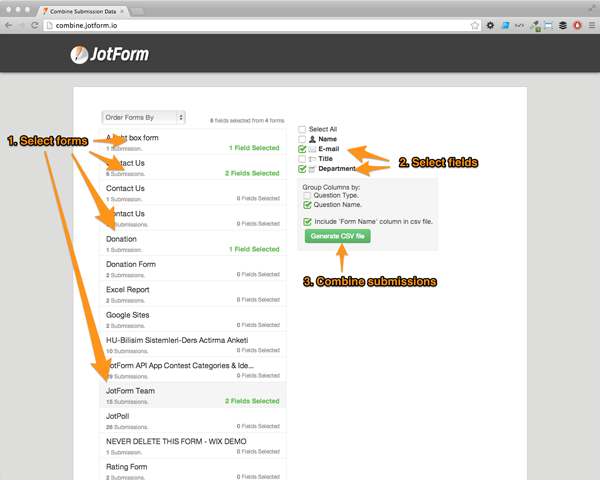 Here, at JotForm, we’ve listened to our community and feature requests to build many targeted data management apps. Now, let’s look at the top 10. 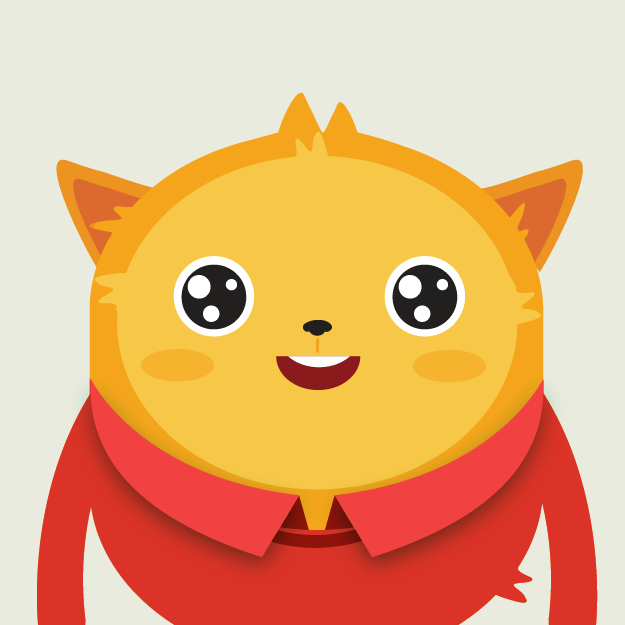 This app gets the uploaded images on your forms and shows them in a trendy way. 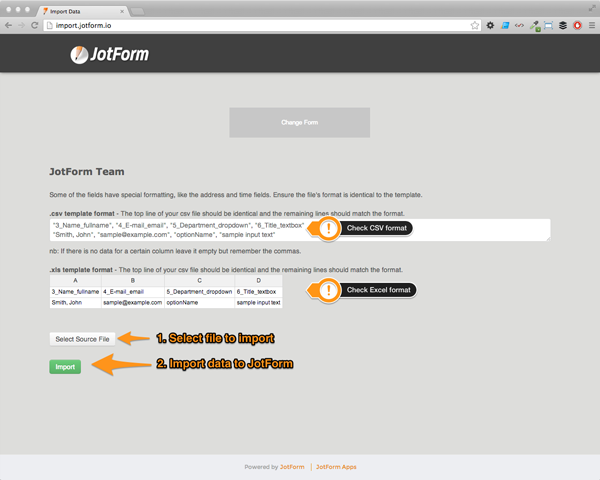 Import submission data from Excel or CSV formats to your JotForm account. 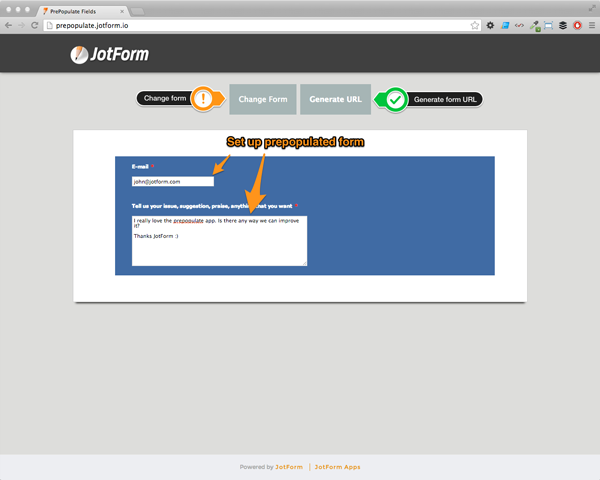 Analyze your form responses and get better insights of your forms to take reasonable action. 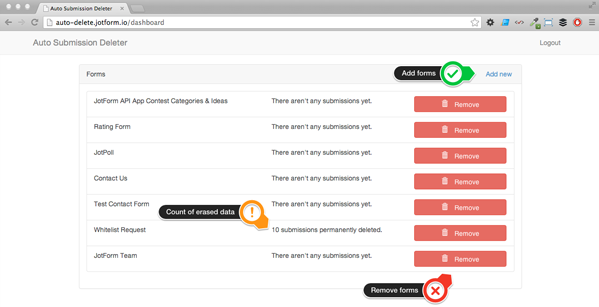 Search submissions from all your forms and delete them when you find them. Combine your submissions from different forms and different fields to merge them into a single CSV file. Set your form submissions to be deleted automatically as soon as you receive the notification email. 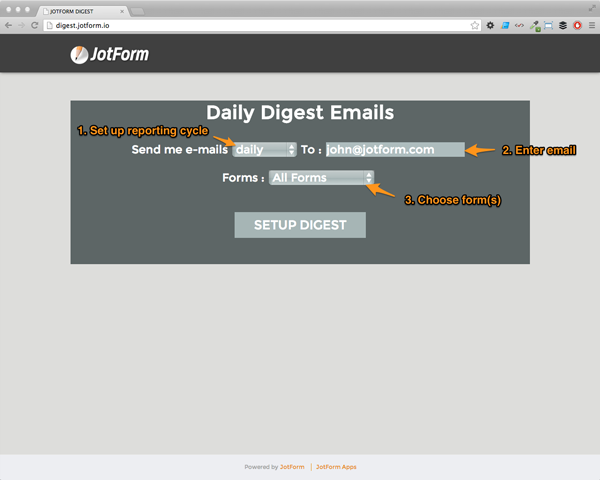 Good app if you are worried about leaving private data in JotForm. Receive & manage your submissions on the go with your Android device. 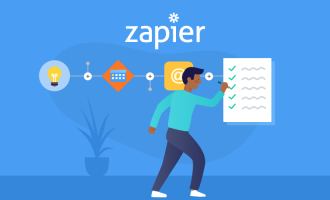 Create your own seating plan for your reservations, customize it, and generate your form to collect reservations in no time. 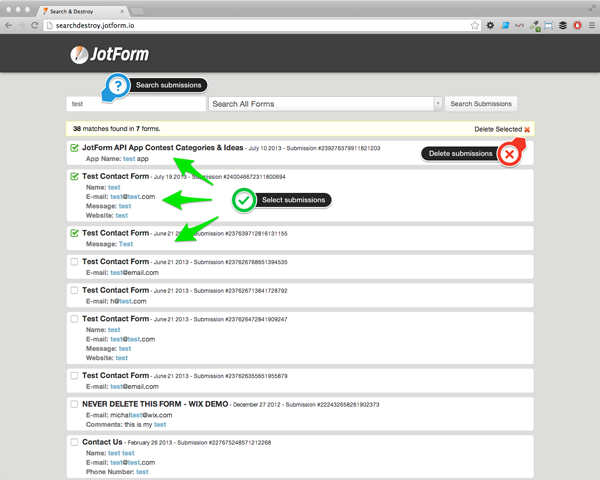 Create pre-populated forms quickly to help your users fill out your forms properly. Receive a digest of your submissions from your forms daily, weekly, or monthly. What’s your favorite data management app? 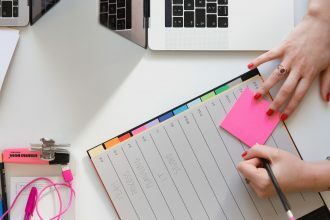 Share your thoughts on the comments section below to help developers build better data management apps in the future. my iphone app is not sending me the confirmations did something change on it? Using smart phones to receive & managing submissions on the go could make the information accessible to other android apps in the phone. Have you looked into how our privacy is not controlled by the user of smart phones? It's not the content that is being stored in the phone that is being submitted. It is how it is collected and stored by android apps. I have not been fortunate to date to get forms submissions from my website. However, I am still working on it. I am interested in getting my visitors involved with interacting on subject matter topics I put on a section of my website and leaving comments. Perhaps your combining submissions app can be of use for me. It is very good to see this new feature bringing 3rd party apps. But how can we trust them? 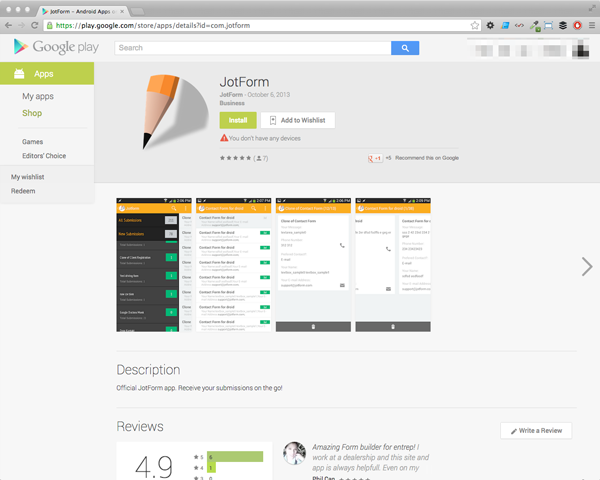 Do jotform team check every single app to make sure they are not stealing information? I have not seen any information regarding this matter. The apps idea is a good one. I like it. I haven't quite found one that I want to use yet though! I like the idea of combining submissions ... but I would like to combine submissions from 2 separate forms ... not as a csv but actually combining the submissions. 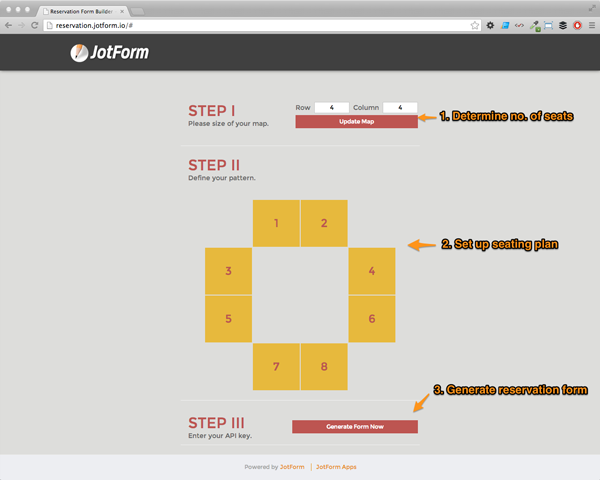 Then one could analyse directly in jotform with your existing tools like grids. Galleria ... great but how can you use that if you are using filepicker for image upload ... which lets face it is the best way as it orientates photos from smartphones. 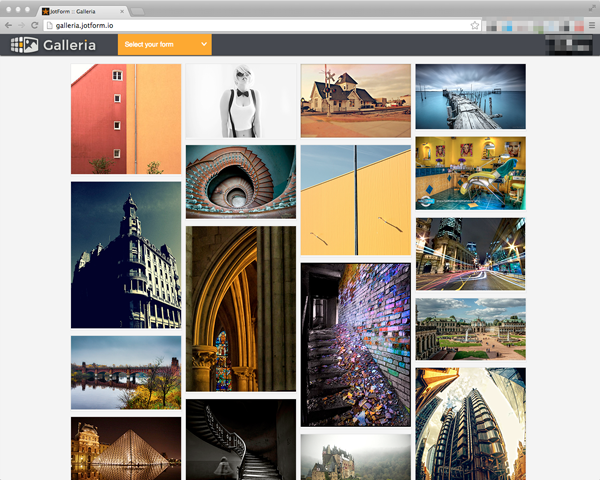 The gallery with normal upload will have photos all on their side etc. Submissions ... 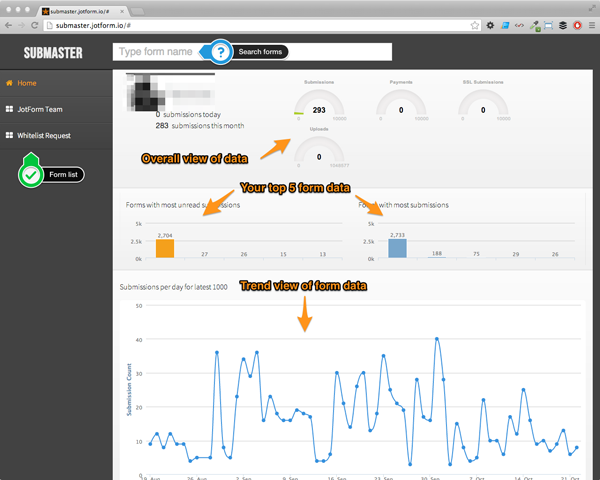 I would like to see an app that enabled a client to directly edit submission data ... not just look at it ...  I've got that with the brilliant grid and stuff. Hope this helps. Hope I can use an app soon. excellent congratulate the apps. The only thing missing to make it perfect are statistics for each item in the forms with several options.